now You can have a REAL TAILGATE PARTY! "The Official Table of Tailgating"
Homefield Tailgate” brings the atmosphere and excitement of stadium tailgating to wherever your tailgate party may be; inside the home, backyard patio, or even the corporate office. The purpose of our table is to enhance any tailgate party with the resemblance of an actual tailgate backed up to your party. Our table will be made to be durable and functional, while attracting attention with its creative design. Order Your Tailgate Table Today! Your Homefield Tailgate completely folds “Down” with its legs underneath just like other folding tables. This allows for easy transporting whether it’s to and from the stadium for the big game or for easy storage in your garage after you have your friends over to tailgate at your house. With Homefield Tailgate, you can tailgate anywhere and any time! “Set” up your Homefield Tailgate is as easy as unfolding the legs and standing it up wherever you want it to be. This could be in the stadium parking lot or even in your backyard next to your pool when you invite your friends over to watch the big game. Imagine the reaction of your friends when they arrive and see you have a tailgate at your tailgate party! To make your Homefield Tailgate complete, just “Hike” (lift) up the tailgate to the upright position and you’re now ready for the game... or pregame! 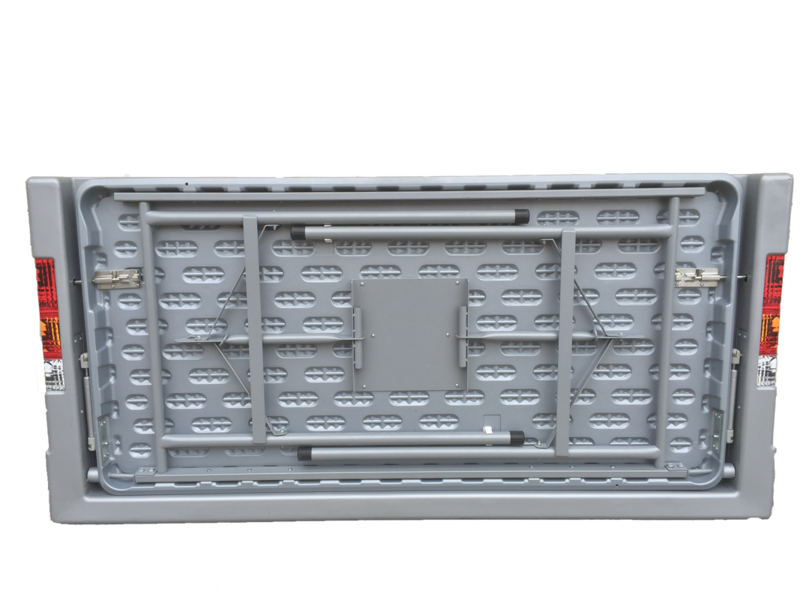 The Homefield Tailgate in the upright position keeps the spirit of your tailgate party going even when it is full of food and party supplies. The Homefield Tailgate puts the tailgate at your party from a 360 degree view! Are you really ready to tailgate ?? Tired of buying all the food, all the drinks, setting up your party for the big game... to find out there isn't a crowd? Tell friends that you really do "Tailgate" at your party! ​You'll be the MVP with them all! Order Your Homefield Tailgate Today! Get Your Homefield Tailgate today!